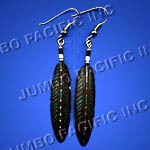 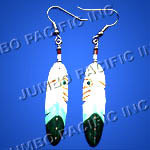 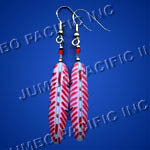 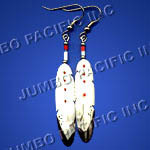 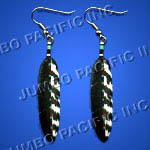 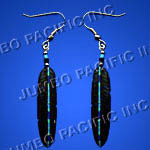 Earring - Jewelries feather fashion earrings with various colors and designs. 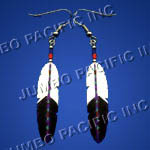 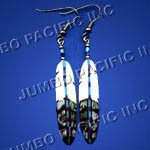 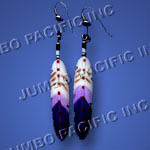 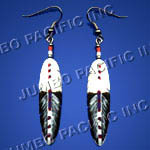 (JPE032) Earrings with Feather pendants in violet blue combination. 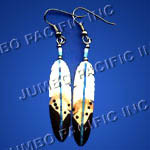 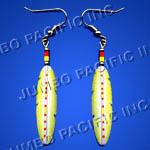 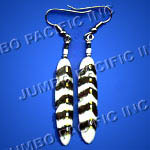 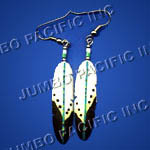 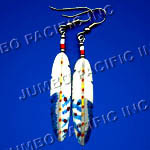 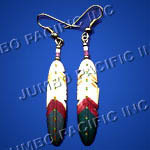 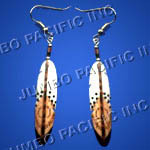 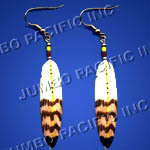 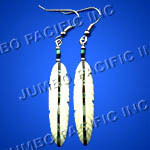 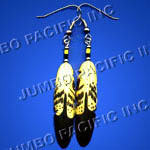 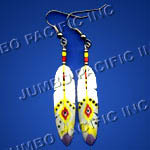 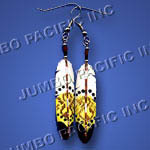 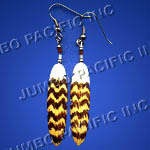 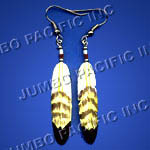 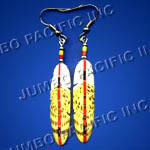 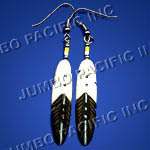 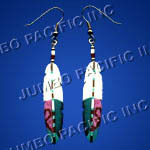 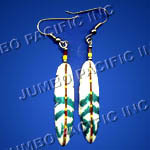 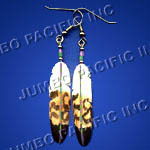 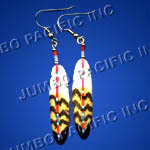 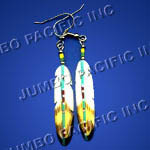 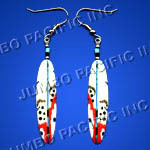 (JPE031) Earrings with feather pendant in yellow combination.